As the face of the health care industry continues to change on an almost daily basis, the demand for professionals who can effectively manage hospital and healthcare organizations is on the rise. According to the Bureau of Labor Statistics, the job outlook for medical and health services managers is expected to increase by 20% through 2026, which is much faster than average. Health care reform, the switch to electronic medical records and the aging population have all led to a growing need for professionals who understand the ins and outs of managing the infrastructure of a medical facility. Health care managers are responsible for budgeting, management, and resolving employment issues. The rapid expansion in this profession has also led to a spike in the number of colleges and universities with undergraduate and graduate programs in this area. The number of students enrolled in these programs is also experiencing a dramatic rise. 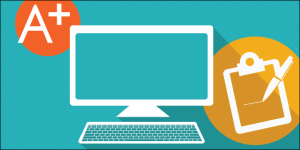 We created this list as an introduction to the top 100 websites and technology resources for the thousands of students entering or already in programs in health care management, health care administration and public health. They include websites such as general academic support, time management, industry specific websites and more. To be included in our list, sites must have relevant and current content helpful to students in health care management programs. Copyscape – This excellent website allows students to check their papers and assignments for any possible plagiarism. 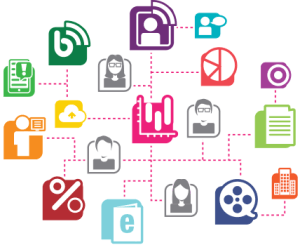 Using the premium service, students can copy and paste their work from multiple sources to ensure that it is sound. There is a nominal fee of three cents per search (up to 200 words) and an additional one cent for each additional 100 words. Dragon Home – One of the most helpful tools, reported by college students is Dragon Home speech recognition software. Students can expect to get 99% accuracy through this dictation software. Students can buy the software for $150. Huffington Post College – In keeping with the news structure of the Huffington Post, this college edition provides students a wide range of information, including news, videos, media, college information, and much more. It’s a must-have for students who want to stay on top of college trends and current events. WayUp – For those health care management students who plan to pursue an internship in their field, WayUp is the perfect place. Using a simple search, students and recent grads can connect with some of the best internships or entry-level positions in the field. Keep Me Out – This innovative website allows busy students to manage time spent on sites like Facebook, YouTube, and Twitter. Students can create “warnings” that activate when they have spent more time than they’d like visiting websites that take time away from studying, paper writing and textbook reading. Rate My Professors – This website offers students the ability to find a top rated professor, find a school, or rate a professor. You can browse by college or university and find professors in the field of health care management or administration who excel in areas like academics and research. Unigo – With over 1.6 million members, UNIGO is a premier website for healthcare management students trying to find the best college to suit their individual needs. The site contains over 650,000 college reviews and comments. It allows students to see feedback from peers and those in the know. Students can also search and apply for scholarships, write reviews and get valuable tips on admissions and ACT/SAT prep. db’s Medical Rants – This fascinating blog is written by Dr. Robert Centor, a retired academic general internist at the University of Alabama School of Medicine (UASOM). The Professor-Emeritus’ blog has evolved over the last 16 years and now includes mostly short essays emphasizing relevant topics such as Internal medicine, American healthcare, and medical education. He also has interesting tirades regarding modern medical topics. Health Management Associates is a national research and consulting firm that helps its clients stay on top of trends and best practices in the field. It provides technical assistance, resources, and expertise. The blog posts reflect their mission and health care management students can expect to find a wealth of information about legislation and policy in the healthcare field. Health Care Renewal is an innovative blog focused on threats to the integrity of our healthcare system. Articles cover advocacy efforts for accountability, transparency, and honesty in health care governance and leadership. HealthManagement.org – HealthManagement.org is a blog designed to promote management and leadership. Health care management students can choose from blog categories in ICO, imaging, executive, IT and cardiology. Journal articles and events are also posted on the blog. Students can enter their email to join the management community and receive additional insights on the industry. Healing Hospitals – Also excellent for healthcare management students is this medical based blog. It’s written by Dr. Nicholas Jacobs, the international director for SunStone Management Resources, LLC and partner with VxVentures, LLC. He is recognized as the first hospital CEO in the US to publish his own blog. His entries focus largely on hospital administration, medical errors and big picture health reform topics. 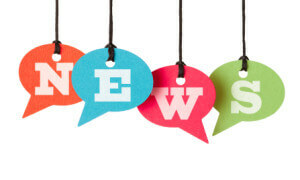 Ragan’s Health Care Communication News – This website is a blog that includes an active and diverse range of topics relevant to health care workers of many different levels. ‘Must-read stories’ are shared five days a week and monthly webinars with Mayo Clinic keep health care managers engaged and up to date. The Health Care Blog – The Health Care Blog has been active since 2003 and covers a variety of healthcare subjects including the business of health care, national health policy, hospital management, and quality. The RAND Blog – The RAND Blog features effective solutions and objective analyses on the issues affecting both health care organizations and administration. Health care management students can expect to find information about the latest research and insights from policy experts. The ACHE Healthcare Management Student Resources – This section of the American College of Healthcare Executives website is designed with the health care management student in mind. It offers a range of career support, publications, educational opportunities, and financial assistance opportunities. This is also a great way for students to begin networking with other students in the field. Becker’s Hospital Review – This website offers a thorough review of hospitals and the modern healthcare setting. There is an abundance of business and legal information for high-level hospital leaders. The hospital review is a part of the five-pronged Becker’s Healthcare family, one of the leading sources of modern business and legal information for healthcare industry leaders. FierceHealthcare – FierceHealthcare is a great site for healthcare management students who want to stay on top of the latest industry news and analysis. Students learn about reimbursement and payment models, data analysis, workflow improvements, and best practice management strategies through case studies and business strategies. There is also a job board with over 100,000 jobs, a resource library and a daily newsletter with the day’s top health care stories. Healthmanagementcareers.org – This site is sponsored by the American College of Healthcare Executives. It allows visitors to explore different healthcare management careers. There are resources for both high school and college instructors to share with their students about the field. Healthcare executives, teachers, and students have posted about their experiences in healthcare management to share their perspectives. This is a great resource for those considering the field or trying to find out what a career in healthcare management might look like. Journal of Healthcare Leadership – This website, supported by Dove Press, is a peer-reviewed journal with an open online journal format. Volumes are published annually. They include original research in interesting areas like staff well-being programs, leadership styles, and interpersonal skills. Kaiser Health News – Kaiser Health News is a nonprofit news service that covers policy and politics related to the health care system. The website includes information on healthcare outcomes, information for health care consumers, policy changes, and legislative updates. There are other areas of interest to health care students as they begin their careers. Stories are published by various news outlets around the country and students can access a daily summary of industry news so they never miss a beat! KevinMD – Another excellent news related website is KevinMD. This blog was created in 2004 by Kevin Pho, MD. This is a great site for health care management students seeking news, information on trends and changes in the field. It includes just about anything relevant to the health care industry. It has over 3 million monthly page views and 250,000 followers on social media. Thousands of doctors, students, patients, policy experts, and nurses can share their experiences and stories from the field. American Medical Association-Residents and Students – While the American Medical Association is designed to offer information to doctors and medical practitioners, the information on this website is helpful to health care management students and professionals. Health care management students can access career planning resources, subscribe to a daily morning newsletter, and read articles about resident and students health and finance. Forbes Health Care – Forbes has a dedicated section for the health care and pharmaceutical field. This website offers interesting articles, news, and a range of modern research on topics relevant to both medicine and medical management. Health care management students can stay current on issues and trends affecting health care from a business and economic perspective. Healthcare.gov – This website is also known as the healthcare marketplace. In addition to searching health care insurance options, visitors can also use the information that has been provided about the US Affordable Care Act. The site is very helpful for health care management students, as these types of government policies will greatly affect their careers. Students can sign up for email and text update affecting the marketplace or visit the HealthCare.gov blog. Modern Healthcare – This website is a self-proclaimed leader in healthcare business news, research and data. Readers can find an immense amount of information and news pertaining to modern health care management and direct patient care. The news section and blog help keep health care management students at the forefront of the industry. Students can sign up for an e-newsletter, subscribe to the weekly magazine, or engage through social media. The Department of Health and Human Services – The DHH website is an excellent resource for the news and changes that affect the health care industry in the U.S. There is information regarding the Affordable Care Act, current evolution in the field and health care fact sheets. The Health Resources and Services Administration – This administration is a branch of the U.S. Department of Health and Human Services. It’s designed to improve health care to those in geographically isolated areas or with economical or medical challenges. The website offers a wide range of articles, information and data that will help health care management students better understand the health care regulations and legislative actions. Its website can help health care managers report adverse effects, learn about the latest recalls, and review safety alerts. WHO – The World Health Organization is the world’s leading organization for the enhancement of worldwide health and well-being. The website includes publications on relevant topics such as the healthcare delivery system and industry wide best practices. Health care management students can subscribe to a newsletter to search a variety of medical related resources. Amazon.com Textbooks Store – Amazon continues to dominate in the area of online sales, creating a division that rents, sells, and buys used textbooks. Health care management students can cut their textbook costs by up to 85%. Students can trade their old textbooks for Amazon gift cards, regardless of where they originally purchased their books. Chegg.com – In keeping with the money saving trend of textbook rental services, Chegg.com has become the leader and pioneer in textbook rentals. Students can save up to 90% on textbooks. Chegg also offers online tutoring services at affordable rates. This top site for healthcare management students features many benefits for budget conscious students. 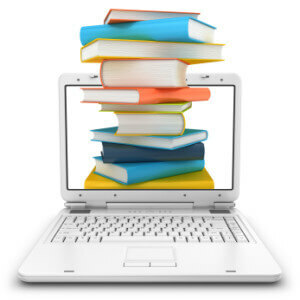 VitalSource Bookshelf – This leader in eTextbooks and Digital Course materials makes college cheaper and more accessible for health care management students. In the student section, students can search for popular etextbooks and download them through Bookshelf. Students can access their entire textbook (online or offline), highlight text, take notes, and search for specific topics. The Online Books Page – John Mark Ockerbloom from The University of Pennsylvania created this helpful online resource, offering more than three million books that can be read for free online, with the option to search by title, author, or subject. Health care management students can access books and journals which may be of interest as they prepare for their professional career. Valore Books – This website is an excellent collaboration that benefits college students who are looking for a text, as well as those looking to make some extra cash. Students can download the ValoreBooks app. They can simply scan or enter in the books they wish to sell, ship the items for free, and get paid by check or PayPal. Health care management students can also rent textbooks through the website. Awesome Note – College life is a challenging balance between family, life, and class obligations. Awesome Note is a great way to keep it all organized! Students can use this convenient app to jot down ideas, make journals, take notes, and organize it all to meet their needs. Attach photos, voice, drawings, maps, and emotions to notes to make them relevant and personalized. Using Diigo can help health care management students efficiently use the Internet as a tool for research, studying and information gathering without losing valuable links and websites. Dropbox – This website is an excellent organizational tool for healthcare management students and professionals alike. It allows you to store and share files in one convenient location. Students can keep all their files synced, updated, and backed up across all your computers. Dropbox is also an effective platform to collaborate with peers or faculty on research and projects. Evernote – This website allows the used to organize notes, pictures, files and many other data sources in one easy to use location. Evernote can be accessed across devices and shared with others. There are different plans depending on your needs. The most popular plan is available for $7.99/month. The business plan is just $14.99/month and allows collaboration among team members. iStudiez – By using this robust online student planner, students can organize their entire life throughout their college years. Using iOS, Mac, Android, or Windows, you can enter, view, and edit a summary of all planned events for the day, week, or month. Never again be blindsided with missed assignments or “surprise” tests! Jottinx – Jottinx offers health care management students one of the simplest ways to take and organize notes. You simply type your classroom notes. You then have the ability to go back later and organize or edit those notes. You can even group notes into books, add tags, and quickly find notes when you need them. Students can also import data from their Google Notebook. The service is currently free! MindMeister – This website is an online mind-mapping tool that allows the user to outline, advance and share ideas in a brilliant visual display. There are over seven million people using the mind map editor for tasks such as brainstorming, note taking, project planning and tons of other creative tasks. A free app is available for iPhone, iPad, and Android users. Since MindMeister is completely web-based, there’s no downloading or updating. OmniFocus – This website is an ideal task manager for health care management students and professionals. It functions as a task manager but allows you to organize your tasks any way you choose. Students can add actions, group actions by different projects, and then plan their day so nothing is forgotten. Busy health care management students can keep their personal and professional life organized and on-track. Sleepyti.me – One of the biggest struggles for many college students is exhaustion. Sleepyti.me is a straight forward site that allows the user to plug in what time they need to wake in the morning and Sleepyti.me will suggest 4 times that you should most ideally fall asleep in order to feel fully rested in the morning. Students can also see what time they should get up if they were to fall asleep right now. No more groggy 8 a.m. classes! Todoist – Todoist is a one stop shop for busy healthcare management students who need help making (and updating) a “to do” list. This task manager is an excellent organizational tool helping over 10 million people organize their lives. With this straightforward design, students can enter the many things they need to get accomplished, with corresponding due dates. It allows the user to sync tasks across multiple platforms and access their lists online or offline. AAHAM – The American Association of Healthcare Administrative Management is the leading professional organization focused on the revenue cycle. Find a local chapter, job hunt, join a webinar, or find professional development opportunities in one convenient website. Healthcare management students can get information about reimbursement, admitting and registration, data management, and medical record management. The association supports conferences and local chapter events. learn about advocacy efforts in their state. BAHM – The Business School Alliance for Health Management has a goal of enhancing the health care industry through training, research and practice throughout leading schools of management. This organization is a consortium of 17 outstanding MBA programs dedicated to advancing the global health sector. Healthcare management students can access the BAHM Quarterly Journal, find an MBA program focused on global health, or engage with industry leaders. HCAA – The Health Care Administrators Association is an organizational resource for healthcare administrators enabling them to stay abreast of the many changes and additions to the health care industry. 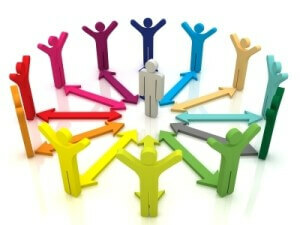 The organization is tailor made for third party administrators and others in the self funded industry. Members can attend conferences that educate and talk about strategic issues affecting the field. HIMSS – The Healthcare Information and Management Systems Society is a “global, cause-based, not-for-profit organization focused on better health through information and technology”. Healthcare management students have access to a blog, news articles, recent headlines, and healthcare IT news at their fingertips. other resources impacting Patient Access Services. NIHL – The National Institute for Healthcare Leadership works to further the health care industry by focusing on the individuals who make it work. It creates small conferences and focus groups, which called “National Learning Networks”. The NIHL website provides networks for healthcare professionals in a range of specialty areas including education, human resources, payor and market strategy, and managed care. job opportunities available only to students in a CAHME-accredited program. a listing of various healthcare events. Citation Machine – The Citation Machine helps students create a properly formatted citation. This helps students properly cite their work and save time in the process. Citation examples are included for a variety of sources including: print books, e-books, journal articles, blogs, and interviews. assistance with all styles of citations. Essay Punch – This website offers interactive online essay-writing tutorials to help students organize their ideas and improve their writing skills. Students can take advantage of interactive exercises that help guide them through the steps of writing an essay. Grammarly – At Grammarly, students can fix mistakes, catch typos and avoid plagiarism. This tool helps students check their work for any possible plagiarism before submitting to an instructor. Healthcare management students can be sure their work looks polished with a monthly, quarterly, or annual subscription to this service. Grubba – Grubba is a free online database to keep ideas and information organized. It enables student writers to easily create a database and share with others. Grubba claims to be easier to use than Access or Filemaker Pro. Grubba is constantly improving through feedback from users, making this free service even better! Prezi – This website helps students turn their ideas into a top-notch presentation. The graphics and presentation style far exceed the traditional PowerPoint presentation. Prezi says it is “designed for people who aren’t designers,” giving the average Joe the ability to create, give, and track professional looking presentations. There are over 100 million Prezi users and over 360 million prezis have been created by users. Wiki How: How to Write a Research Paper – Students can use this site to find an easy-to-use guide on how to write, cite and format a proper research paper. Health care management students can follow a structured outline that illustrates the steps to writing a paper, including sample papers and outlines. enhance ideas with a variety of tools. Google Scholar – This piece of the Google brand is the ideal place to search for article or case law collections on almost any topic. Health care management students can enter their search topic and have access to thousands of scholarly articles including citations. A search of “health care management” returned over four million results, so you can trust Google Scholar can provide a wealth of information. Users can search through thousands on reliable resources using safe search technologies. This tool is academically sound and a tremendous time saver for students. Search answers come from trusted resources such as universities, government and established non–commercial sites, rather than a general internet search which can be less reliable. Pocket – This website allows college students to save articles they come across to read at a later time. Students can save articles, videos, and stories in a special space to review later. The app is available in both Google Play and the App Store. Project Gutenberg – This unique website uses open source technology to bring users more than 50,000 free ebooks, including epub books and kindle books, that can be downloaded or read online. There are no fees or registration required to use Project Gutenberg. Public Library of Science – The PLOS website offers open access to international scientific and medical research, including PlOS journals. PLOS is a nonprofit publisher and an avid sponsor of Open Access research. There are over 215,000 peer reviewed articles for students to access and redistribute. This is an excellent resource for students doing medical research. Ref Desk – Refdesk.com is a thorough online fact checking website for students and professionals. The site seeks to make order out of chaos on the internet by providing users with a database that operates on three different levels. Users can get a quick glimpse of fast facts and quick references. Dig a bit deeper to access newspapers, search engine resources and internet assistance. Or take an even deeper dive to explore the Facts Encyclopedia with over 70 volumes of indexed subjects to explore. The list of sources goes on and on. Wolfram Alpha – This app is essentially the Wikipedia for college students. While Wikipedia is not a highly trusted or respected research tool, Wolfram Alpha includes only academically accepted information. The app is designed for both iPhone and iPod touch. Rather than searching the internet for answers, Wolfram/Alpha relies on built-in data, algorithms and methods. Tylenol Future Care Scholarship – The Tylenol Future Care Scholarship is a merit based scholarship for both full-time undergrad and graduate students. There are 10-$10,000 scholarships and 30-$5,000 scholarships awarded each year to cover expenses like tuition, fees, books, supplies, and equipment. Bachrach Family Scholarship for Excellence in Healthcare Administration – The Bachrach Family Scholarship is a $5,000 award for full-time healthcare administration students in their 2nd year of study in a CAHME accredited residential graduate program. Preference is given to qualified students who are first generation graduate students, have economic need, and/or are female. evidence of any other financial support they receive. Richard L. Davis, FACMPE National Scholarship – The ACMPE Scholarship Fund features 10 unique scholarships including the Richard L. Davis National Scholarship. This scholarship is for undergraduate or graduate students in a degree program related to medical practice management, which includes health administration. The Foster G. McGaw Scholarship – Over 900 scholarships have been awarded since 1975 to graduate and undergraduate students in health administration through The Foster G. McGaw Scholarship. Scholarships are available to students in AUPHA full graduate and undergraduate programs with preference given to those demonstrating financial need. 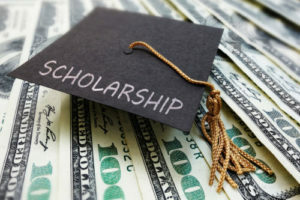 AHIMA Foundation Scholarship – Healthcare management students in a program related to health information management or health information technology are eligible for merit based scholarships. These are varying amounts based on program level. Eligible students are members of the AHIMA and are enrolled in at least six credit hour toward their degree. CHH Auxiliary 2018 Healthcare Scholarship – Charlotte Hungerford Hospital Auxiliary offers 12-$1,000 scholarships for Northwest Connecticut students earning a degree in healthcare. Cleveland Clinic’s Administrative Fellowship Program – This prestigious post-graduate training program provides healthcare management fellows with mentorship and guidance to gain career experience. Audible – Audible is an Amazon company that allows students to download audiobooks to listen to anywhere. Students can find Audible textbooks and reference books through a convenient search and downloadto listen to wherever and whenever it’s convenient. Students can browse through over 1,900 courses in areas like computer science, business, and management. ETS – Educational Testing Service (ETS) has a wealth of information about the GRE General Test, which can be a requirement set by some schools for admission into graduate school. Students can find test centers, test dates, strategies for how to prepare for the test, and what to expect. Students can find course notes, study guides, expert tutors, lectures, and essays 24/7. Review questions and answers, search a subject, and discover top schools in business all on one site. Cram.com – An online resource for students who need a little extra help preparing for a midterm, test or final. This service allows students to create customized study tools or search over 166 million flashcards for more efficient test preparation. 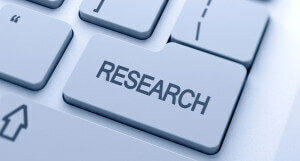 Students can also search over 400,000 example essays and research papers. Brainly – Brainly is an innovative site allowing students to post questions and receive assistance from fellow students. There are over 100 million unique users from more than 35 countries ready to lend a helping hand. Brainly has been featured in Wired, Forbes, and CNBC. Quizlet – This online resource contains almost 300,000,000 study sets for students to use to learn just about anything. The many different options such as flashcards, tests, and study games make the learning process more fun and more engaging for students. Quizlet reports that over 95% of students using their service report better grades. StudyMode.com – This website houses a library of essay examples and research papers that students can search through by category. Students can also gain access to real-time feedback on their grammar and clarity of their essay or research paper. Students can simply search for a course, adding to their skillset and enhancing their resume. College Avenue – College Avenue was created to meet the needs of students who frustrated with not fully understanding the student loan process. College Ave Student Loans helps to simplify the process by presenting information in a way that’s easy for students to understand. Students can complete a simple application, access helpful tools, and receive exceptional customer service with both undergraduate and graduate student loans. Mint – Being in college doesn’t have to equate with being in debt. Mint is an app designed as a helpful tool for students to view their spending and financial accounts in one place. Students can track spending and set up budgets to help keep them in good financial shape. Check credit scores, track bills, and create a personalized budget so you always have money for groceries! enrollment number and much more.